This fifth edition, of nearly 1300 pages, is a comprehensive guide to the complete field of surgery for undergraduate medical students. 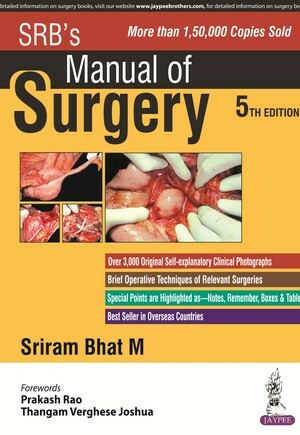 The book covers surgical procedures for disorders in all systems of the body and includes discussion on surgical anatomy. Each topic has been fully revised and expanded to include the very latest information in the specialty. The new edition is highly illustrated with nearly 3000 clinical photographs and figures. Key physical signs for each disorder are highlighted in boxes with different colour shades.